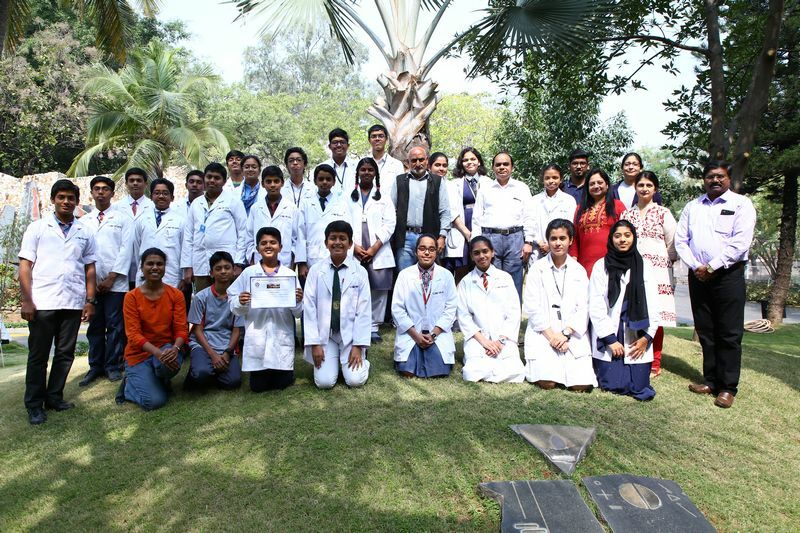 CCMB identifies talented young students of class VIII to X and encourage them to appreciate the significance of science through this program. In this program the students are made to realize that creativity, keen interest and enthusiasm are the main components of success in science careers. Different schools of Hyderabad are requested to identify students and nominate them for this program. From among the large number of students, we select about 15 student by a short test and put them in a two week hands on experience of research activity in CCMB. These students would carry out experiments on their own, involving the preparation and analysis of their own DNA, preparation and examination of nano particles, grow bacteria and count them, observe the developmental processes in Drosophila and zebrafish, in addition to visiting several facilities of the centre. Apart from this, they would also interact with various scientists and discuss science every days. Students are given “CCMB Young innovator” certificate at the end of the program in an interactive session.